In Column Talk, for this issue, we jump forward through the orders to the Corinthian column. The Corinthian, with its offshoot the Composite, is the most ornate of the orders, characterised by slender fluted columns and elaborate capitals decorated with acanthus leaves, scrolls and various other frivolities such as the architect wishes. Some have hibiscus flowers, others ox heads, others rosettes. There are many variations on the Corinthian column, something which cannot be said for the Ionic or Doric orders. Mark Wilson Jones, scholar of columns, found after much research that the Corinthian column often has a ratio of total column height to column-shaft height that is around 6:5, so that, secondarily, the full height of column with capital is often a multiple of 6 Roman feet while the column height itself is a multiple of 5. The column is generally more slender than the Doric column, but in my opinion this is an unnecessary piece of information; the Corinthian column will always be known by its distinctive carved capital. We have some history surrounding the creation of the column, an unusual luxury in classical architecture. Architect historian Vitruvius writes the column was created by the sculptor Callimachus, probably an Athenian, who drew acanthus leaves growing around a votive basket. Its earliest use can be traced back to the Late Classical Period. The earliest Corinthian capital is found in Bassae, dated at 427 BC. Some say Corinthian columns can be Too Much. Well, they are right. Some are too much, like a mouthful of sugar. Some are like Ezra Pound cantos, with so many references and irregularities you cannot look down them without wincing. Some are like sideways Edgar Allen Poe sentences, with so many jangling, loaded adjectives that you barely want to keep looking. Still, some have more taste. The most imperious of Corinthian columns, like we see on Temple of Zeus in Athens, pull things off in a much more urbane manner. The same can be said of the columns at the Maison Carrée in the south of France, restored during the Renaissance. In both cases, things look correct. There is a turbulent balance, in which all parts flourish wildly, but in composure with the surrounding ornamentation. This is the true genesis of harmonic chaotics. 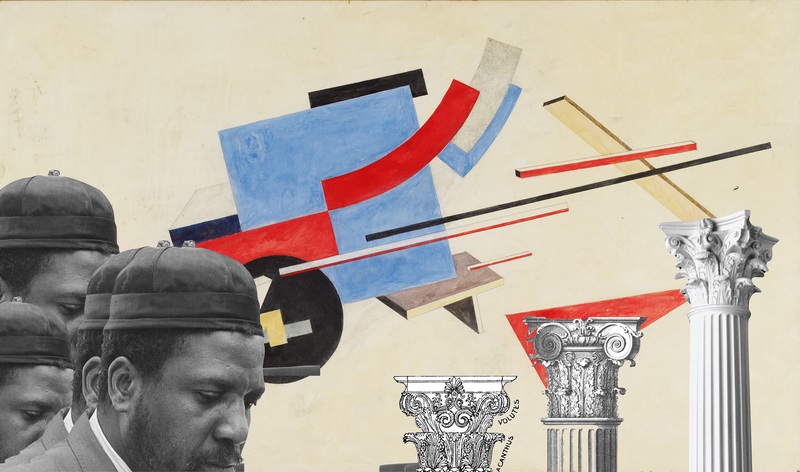 The constructivist paintings of El Lizitsky and the free jazz songs of Thelonius Monk both take true aesthetic descent from the Corinthian column. I won’t take any questions on that statement, nor will I elaborate. Suffice to say that Corinthian columns legitimise the illegitimate. They are overdone, but not as much as they aren’t. Words by Harry Peter Sanderson.